I’m back in my favourite place; beside the icecream van at the Winking Prawn in Salcombe North Sands! Remember two years ago when myself and Jo took photos in front of this van? You can see the post here! 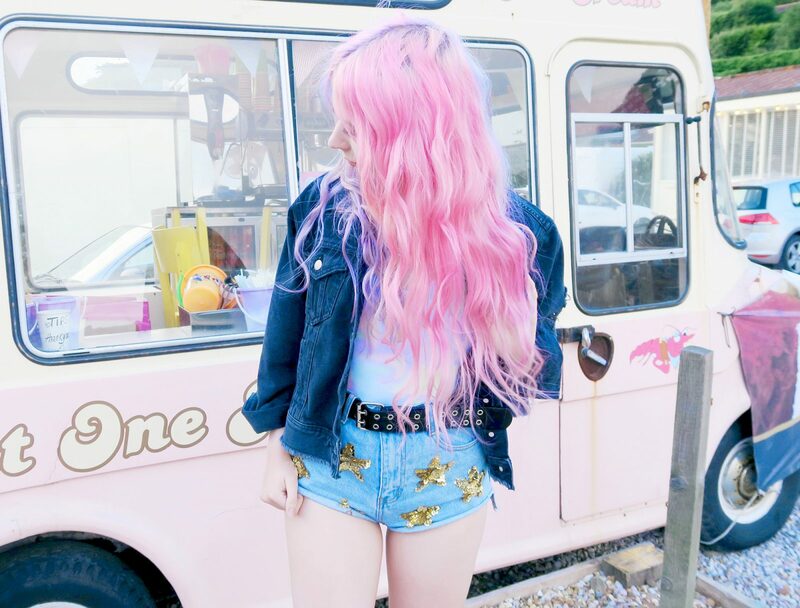 I think I would quite like a pink vintage icecream van of my own one day, y’know, when I’m rich and can do such things. Kinda like Rupert Grint. I just need to star in Harry Potter first. 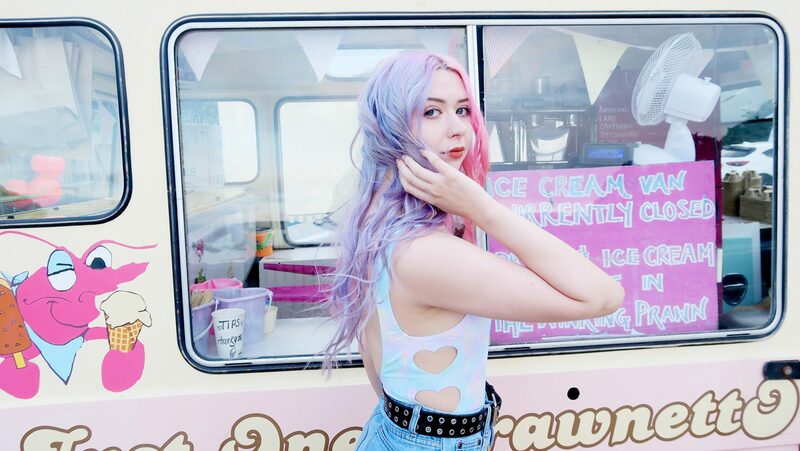 If I ever manage to get my hands on a vintage icecream van I’ll probably convert it into a little camper van so I can travel around, taking photos at pretty beaches. Can you put wifi in caravans? Because that would be the only thing holding me back. These picture are soo cute, the perfect backdrop for you! 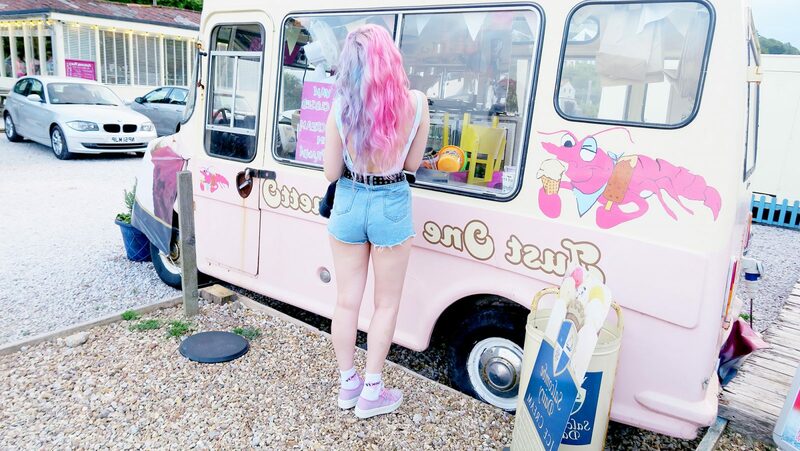 Ah that ice cream van suits you so well, I’m surprised it’s not already yours! And I love love love the stars on those hot pants – super cute! This is such an amazing post, everything is so cohesive! P.S. you’re definitely right about the wifi lol. These are such great pics! I love this idea, that outfit looks great on you!